A no-bake cheesecake with graham cracker crust and assorted berries. 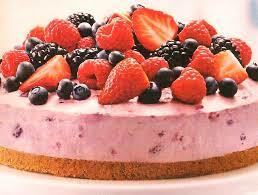 Here is an easy dessert recipe for Mixed Berry Cheesecake. Brush melted butter on sides and bottom of a 9-inch springform pan; set aside. 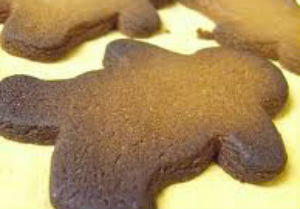 Mix graham cracker crumbs, 6 Tbsp. butter and 3 Tbsp. sugar; press firmly and evenly onto bottom of pan. Place the pan in the freezer while preparing filling. 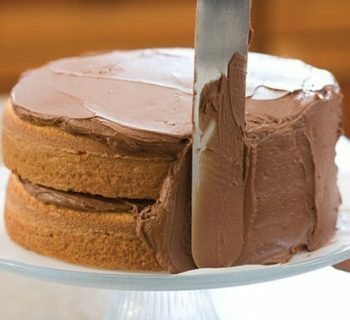 To make the filling, beat cream cheese and 3/4 cup sugar in large bowl with mixer until well blended. Add berries; beat on low speed just until blended. 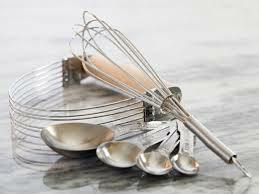 Whisk in whipped topping. Pour filling over prepared crust. Refrigerate 4 hours or until firm. When ready to serve, run a hot knife around the edge of the pan to loosen. Slice cheesecake with hot knife and serve with more fresh berries on top if desired.